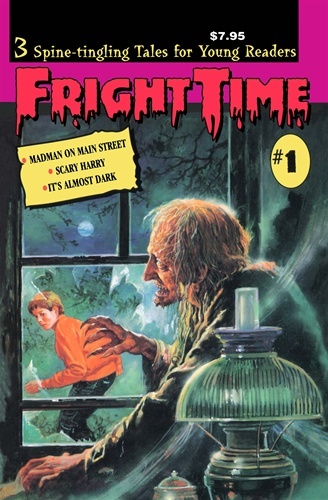 In MADMAN ON MAIN STREET, Michael and his friends discover that not only is it dangerous to talk to strangers, but that the diabolical new resident who lives in an old haunted house intends to take control of the whole town. In SCARY HARRY, something strange is happening to Jesse's older brother and Jesse sets off in search of the mad scientist who is turning his brother into something less than human. In IT'S ALMOST DARK, Spence's best friend, Ben, knows that Spence's family is odd. Spence's mom tells fortunes, and his dad writes scary stories. Then the scary creatures cooked up by Spence's dad start coming to life.